There is no doubting that the roots of Easter are religious and this is something we shouldn’t forget when we celebrate the holiday. But there is another aspect to Easter and this is spending time with your friends and family. This is especially true when you have young children. But how can you celebrate Easter without breaking the bank? 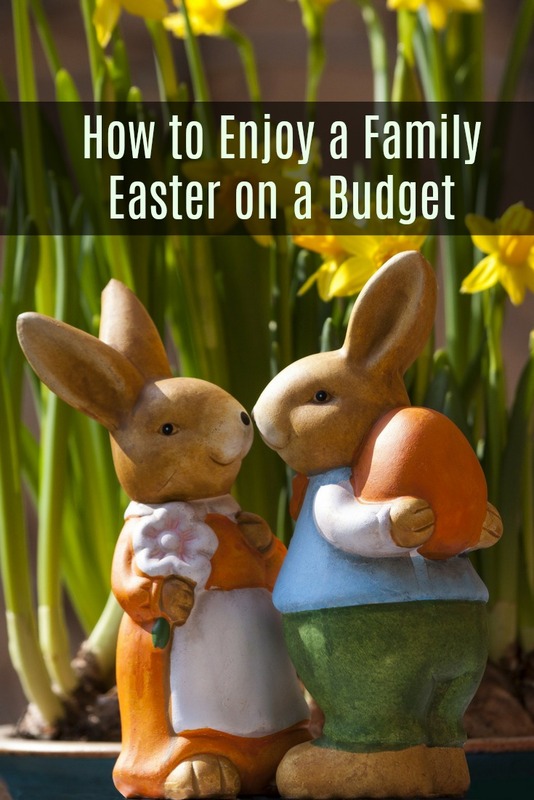 Well, don’t despair as it is not impossible and this article will give you some tips on how to enjoy a family Easter on a budget. You are an avid saver and you are always looking for ways to stretch your family’s hard-earned money even farther. When it comes to mundane things like car insurance you are going online and checking out the best companies – this includes looking at what customers have to say, like reading Mercury insurance reviews among others. However, let’s be honest, you are probably not setting up a budget for your Easter celebration. This makes sense, after all, it’s not Christmas with all the presents and everything. But if you look at what you have spent in the past, then you will have to admit that the dollars do add up. So, if you really want to save money this coming Easter then set up a plan and stick to it. Not only will you find yourself less stressed but you will end up with more money in your wallet at the end of the day. This is another way that Easter tends to lose out as most people don’t give it the same preparation as they do Christmas, Thanksgiving or even Flag Day. Ok, I doubt you have a big meal planned for Flag Day but you get my point and now that you have your plan in place the next step is to get smart when it comes to shopping. This means making a list of everything you need, checking which stores have the best deals and even going online to see what you can get for your family celebration from the comfort of your own home. If you are a committed saver, then you know that enjoying Easter on a budget is an extreme sport and this means trolling the after-Easter sales to see what items you can get at a discount for next year. However, some of you are latecomers and as such, you will need to work a bit harder this year. This starts by asking Google (or your search engine of preference) to help you find the best deals – simply search for ‘Easter deals’ or ‘Easter sales’. Beyond this, you want to know which stores have the best prices on candy; or if you are not a big fan of sugar, they have some recipes handy to cook up some sweets without breaking the bank. Remember, Easter is a religious holiday and as such, there is no need to go overboard with decorating your home. Instead, focus on making the holiday a time for your family to come together and enjoy each other’s company. In doing so you will save time and money and this means you will have more time to spend with your kids. If you do want to have some decorations, then you can either check out what Goodwill has on offer – think of it as retro chic – or you can go online to see what the auction sites have for you to deck out your home. In terms of hosting dinner, there is no need to buy a new china set. Instead, focus on the food as this is what everyone will remember. In fact, one of the best ways to dress up a table for Easter is to get some fresh flowers which you can either buy or take from your own garden. While I realize that some families are in the habit of giving gifts on Easter, this is not really in keeping with the roots of the holiday. As such, there is no better way to save money than to cut back on gift giving or do away with it all together. If you do get some pushback from your family, then try easing them into it by either setting limits on how much they can give, or offer the alternative such as making a donation to a local charity as this is more in keeping with the spirit of the holiday.